It all started on a family farm in Bloomington, IN. A young Henry B. Gentry, after seeing the Van Amberg's circus began training his pet colt to jump through a hoop. The family dog "old Shep"was next, training the dog to work with the colt in the improvised act. Gentry continued to train the farm animals that were available to him and soon was asked to give a performance in the towns opera house. Henry had caught the "circus bug", and would turn this humble beginning into one of the largest shows on the road. In 1885 age 17 Henry asked his three brothers to join with him and start a traveling show. The four brothers purchased a railroad car and titled the show "Gentry's Equine and Canine Paradox". 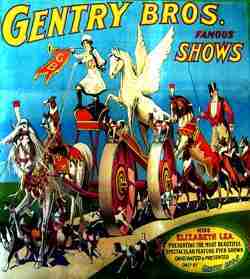 In 1887 after two successful seasons on the road, the Gentrys opened the "Gentry Bros Circus. 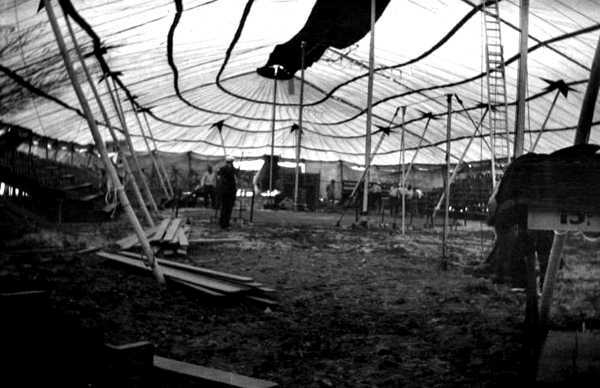 The circus carried no human performers, only dogs, ponies, a ringmaster and animal presenters. The circus continued to grow and in 1895 while in New Orleans, the Gentry brothers formed a second unit to show on the west coast. 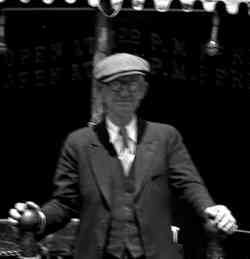 In 1898 the Gentrys purchased two more shows, the "Sipes circus", and another circus owned by Tom Ogeat and Henry Main. The Gentry brothers now had four dog and pony shows, one for each of the brothers to operate. 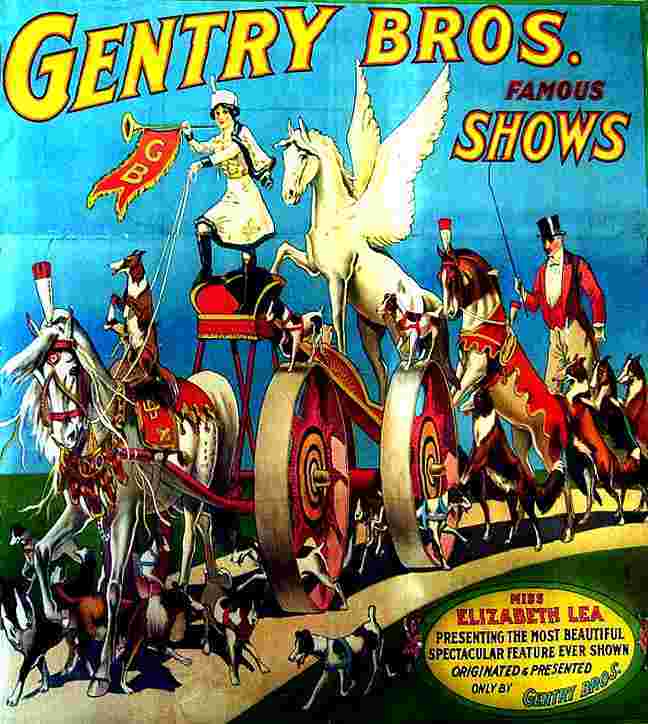 In 1902 the named was changed to "Gentry Brothers Famous Shows". The show purchased 20 baby elephant to be divided among the units and began adding "Human acts". 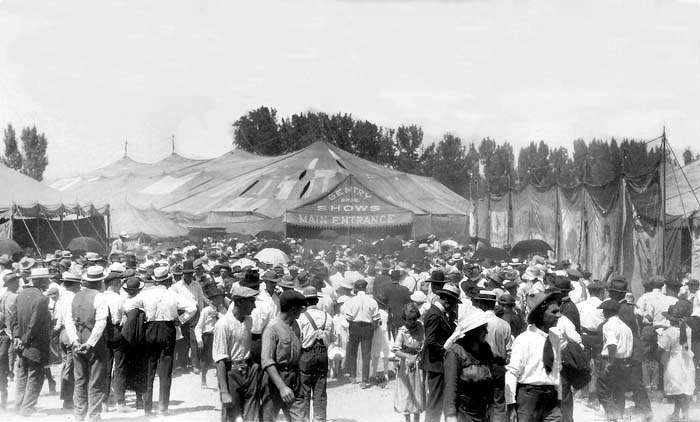 By 1910 the circus had become the largest on the road. 1916 the Gentrys sold out to Ben Austin and J. C. Newman. The circus had developed such a grand reputation that the new owners decided to operate the show with the "Gentry Bros."title. Under the new ownership the show continued until 1923 when the show was purchased by James Patterson. The circus was then re-named "Gentry-Patterson Circus". 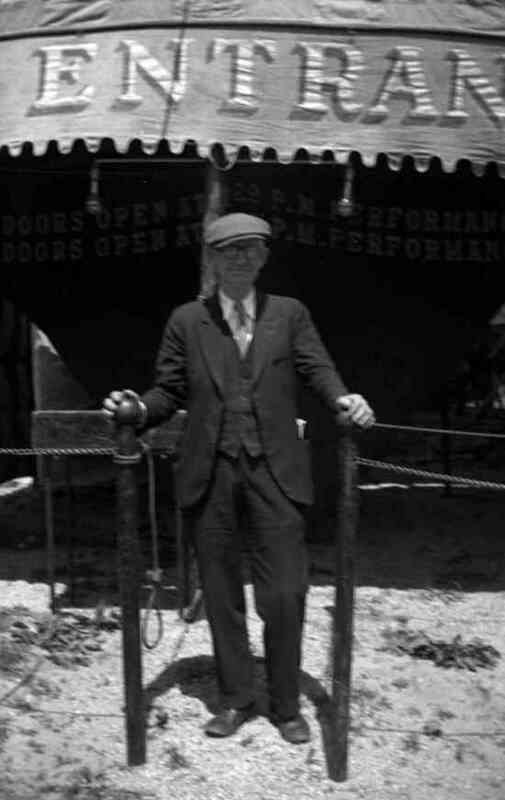 In 1925 the circus was purchased by Floyd King and his brother Howard. 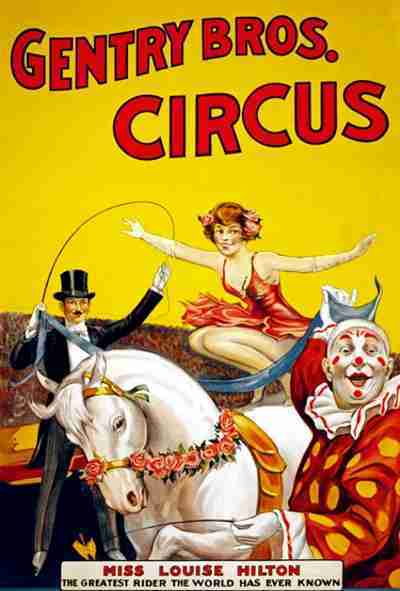 The Kings Used the "Gentry Brothers"titled and operated the circus until 1929. 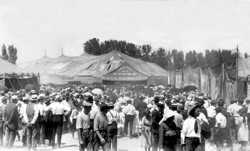 On Oct. 23, 1929, (the day before the stock market crash), the circus went bankrupt and folded in Paris, TN.. In 1931 an attempt was made by Gentry brothers Henry and Frank, to revive but again in 1934 the show ran out of money and folded its tens for the last time.